DedicatedNOW now offers the award winning dotDefender™ web application firewall on every new cPanel Managed Server! dotDefender™ is a software based web application firewall that cost-effectively provides additional website security against malicious attacks and website defacement. dotDefender™ is the essential application for all e-commerce websites! The dotDefender™ website security software based product delivers excellent ROI from installation to maintenance, so you can focus on your business. dotDefender™ protects your website from malicious attacks that are not handled by common network based web security products. 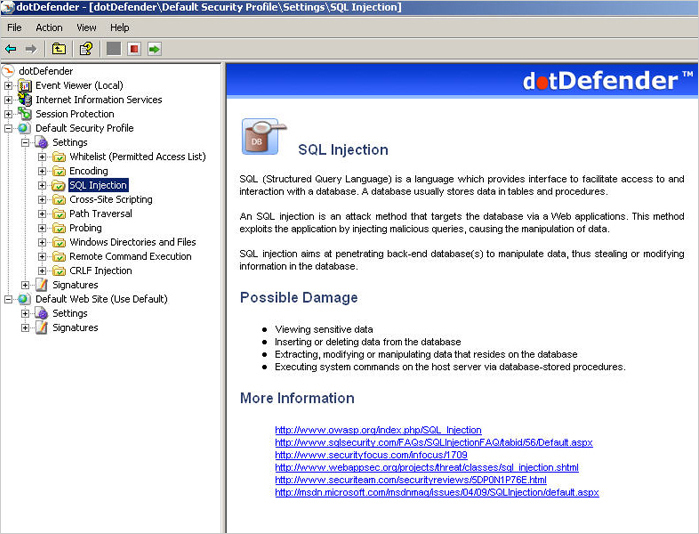 Web Application Attacks such as SQL injection, path traversal, cross site scripting, and other hacks leading to website defacement can easily be prevented with dotDefender. The Payment Card Industry (PCI) has taken steps to improve merchant security with a new set of mandatory rules called the PCI DSS. The PCI DSS stipulates that any company accepting credit cards must take special steps to secure its web applications. Non-compliance with the standard may result in security breaches, lost customers, potential lawsuits and fines. dotDefender™ utilizes negligible web server resources and handles encryption transparently to enable tight web security with no performance degradation. Automatic live web security update of rules and signatures from a centralized site ensures your website protection is always up to date, and ready to stop the latest attacks. Don't need cPanel? dotDefender™ is available for only $35 monthly for all servers. Just select the Applicure dotDefender™ option when ordering your server to have dotDefender™ installed. 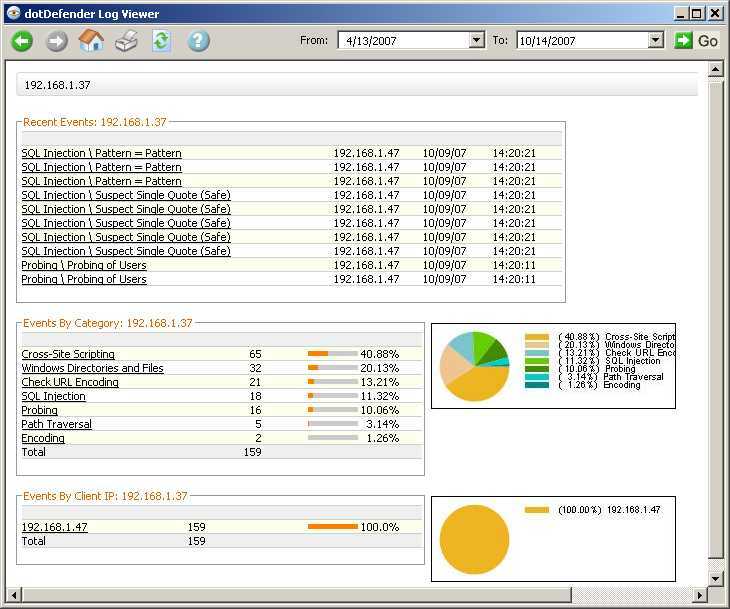 Contact our Sales Department today to receive a FREE 30-day trial of dotDefender. 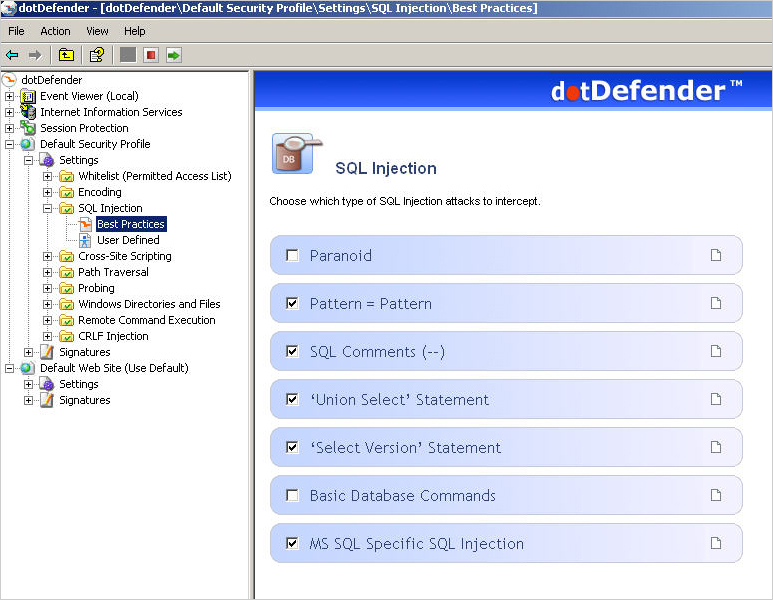 dotDefender™ trial installs are also available on our dotDefender™ Download Page. All attack categories are explained, with links to more information. Automatic identification of attack sources, e.g. 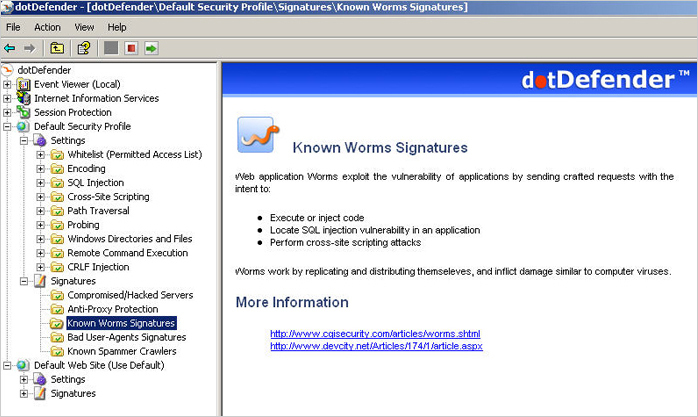 known Worms. Choose which specific rules to apply in each attack category. A useful Log Viewer helps you make sense of attack statistics. 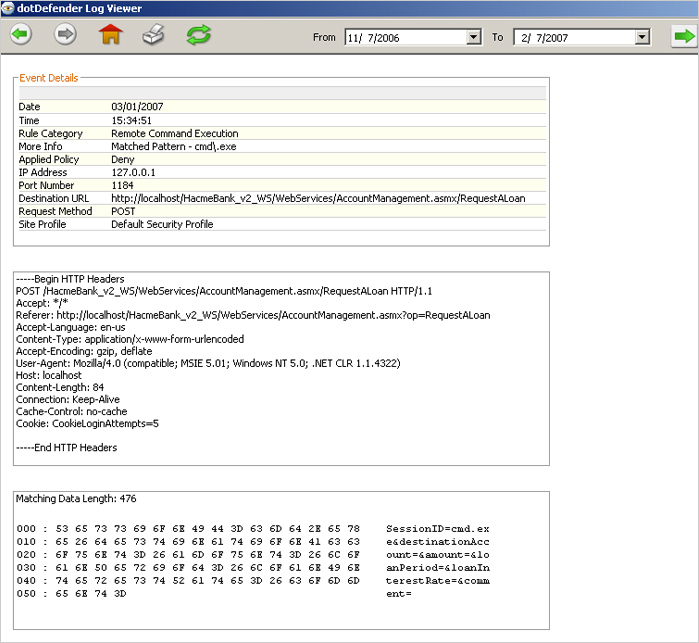 Detailed statistics are shown for each security incident.